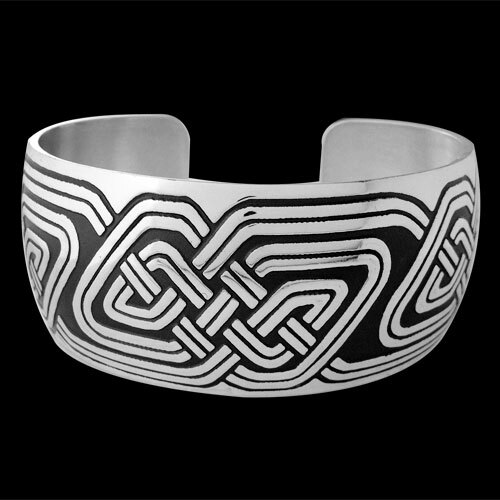 Sterling Silver Matt's Maze Bracelet by Metal Arts Group. Complex in nature, this design is constructed with one continuous line with a thin center line added to enhance the motif. Each time the line overlaps itself it is believed to increase strength and protection. 6.8 x 1.3 inch Sterling Silver Matt's Maze Bracelet by The Celtic Lady. Made in USA.